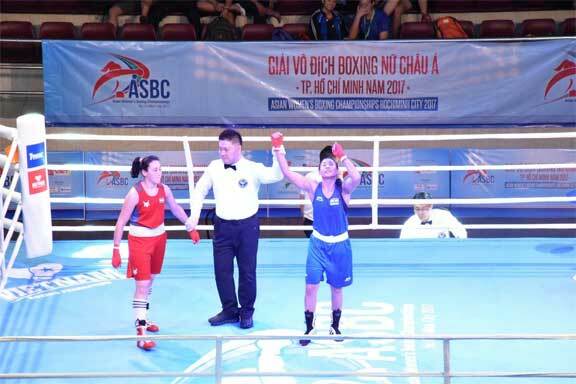 New Delhi: India’s women boxers continued their unfettered march in the Asian Boxing Championship here on Sunday, with three more ladies storming into the semifinals. As many as seven boxers out of ten, including former world champion Mary Kom, have made it to the medal rounds, making this one of their finest performances in recent times. Veteran Sarita Devi, Sonia Lather and Lovelina Borgohain were the valiant fighters who won their respective quarterfinal bouts on Sunday. Former world champion Sarita was the star of the day, recording a pleasing 5-0 victory over Maftunakhon Melieva of Uzbekistan in the 64-kg weight category. Sarita, who is returning to the amateur circuit after a brief stint as a professional, is now assured of a sixth Asian Championship medal, just like Mark Kom who made it the semis on Saturday. 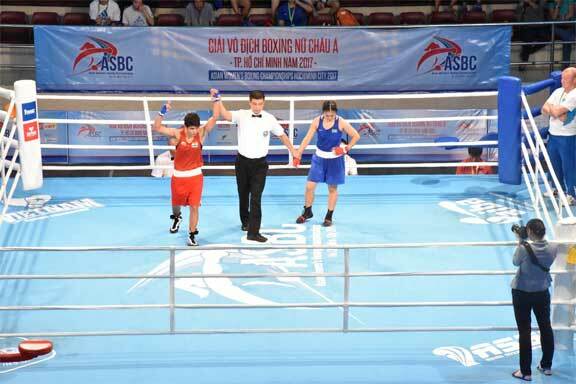 Manipur’s Sarita brought her years of experience into play as she dominated the Uzbek boxer from the word go. Sarita made full use of her good reflexes and landed her right hooks to seize the initiative early in the bout. She got into her full groove in the second round, leaving Melieva reel from a flurry of lusty blows. She even suffered a standing eight count before the referee felt she could continue. Melieva tried to get back in the final round but Sarita was happy defending. She blocked anything that was thrown at her to set up a semifinal clash with Dan Dou of China. In her 57-kg clash, World Championship silver medalist Sonia earned a hard fought 3-2 victory over Nazym Ichshanova to make it to the last four. She will meet Yodgoroy Mirzaeba of Uzbekistan in the next round. 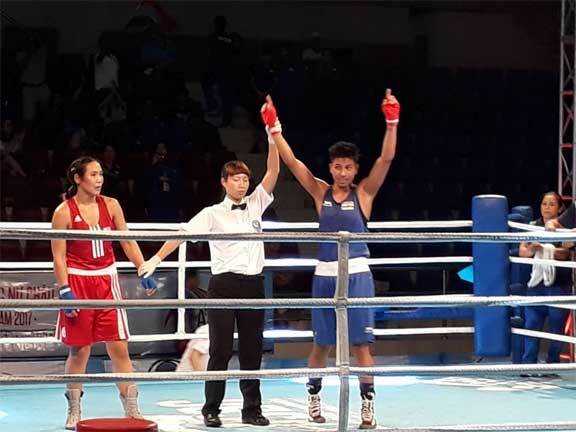 Lovelina Borgohain also ensured a medal for herself in the continental event after whipping Erdenetuya Enkhbaatar of Mongolia in the 69-kg quarterfinal. The Assamese boxer will be up against Valentina Khalzova in the semis on Tuesday. Susheel Kumar is World Champ in International Wrestling.